Thick fudge brownies covered in delicious eggless cookie dough. 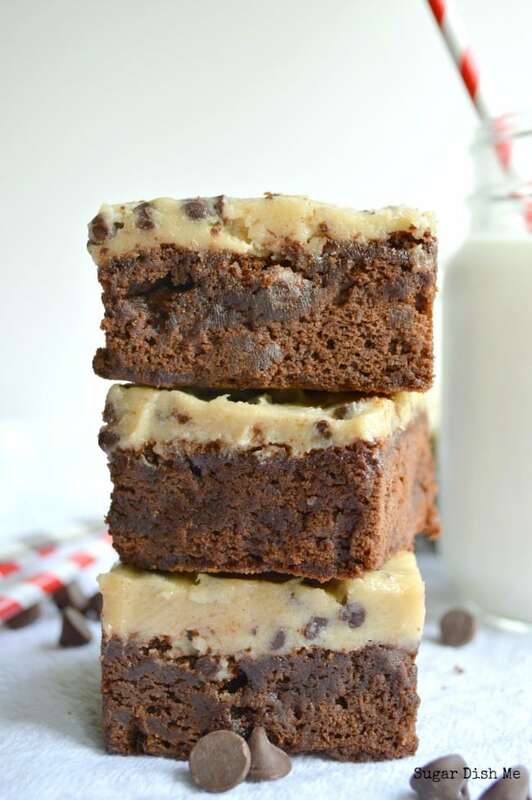 Cookie Dough Fudge Brownies are totally rich, decadent, and combine two of my favorite desserts in one delicious treat! I am actually quite terrible at following a recipe. Are you surprised? You shouldn’t be. I think my lack of love for thinking inside the box is what makes me love my job so. dang. much. , but it wasn’t always that way. For probably the first 10 years of my kitchen adventures I followed all the recipes. I would flip through my mom’s cookbooks until I found something we had all the ingredients for, and then I would make it. Somewhere around 18 or 19 though, I started just figuring out how to figure it out. I didn’t have cookbooks. So I just kind of flew by the seat of my pants, which is both a freaking awesome expression AND a very fitting description of me. Fast forward to being a grown up with a hungry family, and I still very much just kind of go on instinct. But I have a deep appreciation for cookbooks, and what goes into testing and writing a recipe. Plus THE PICTURES!!!! I could flip through cookbooks and food magazines all day. I love the photos. You would not believe what a hard time I had following the recipe for these brownies. 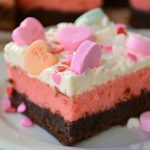 It came from a book I really love – Taste of Home Baking Classics – and I chose it because I have a major lack of brownie recipes! Also cookie dough. 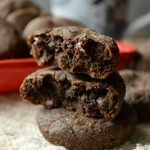 I usually swear by this brownie recipe though, and this one is totally my favorite, so the whole time I was second guessing things like butter, sugar, and bake times. And I did make some changes. The recipe called for melting chocolate chips in the microwave, which is fine, but I don’t have a microwave and I find melting chocolate chips to be sort of hit or miss. So I used really good quality dark chocolate for the brownies (FYI: Aldi is my secret source for amazing and cheap chocolate). I also left out the walnuts. And reduced the bake time. But I swear I left it alone after that. Except I also added salt. The thing about cookbooks is that even if you change 100 things and end up with a chicken dish out of a green bean casserole recipe, they are so inspiring and full of beautiful ideas and promise. 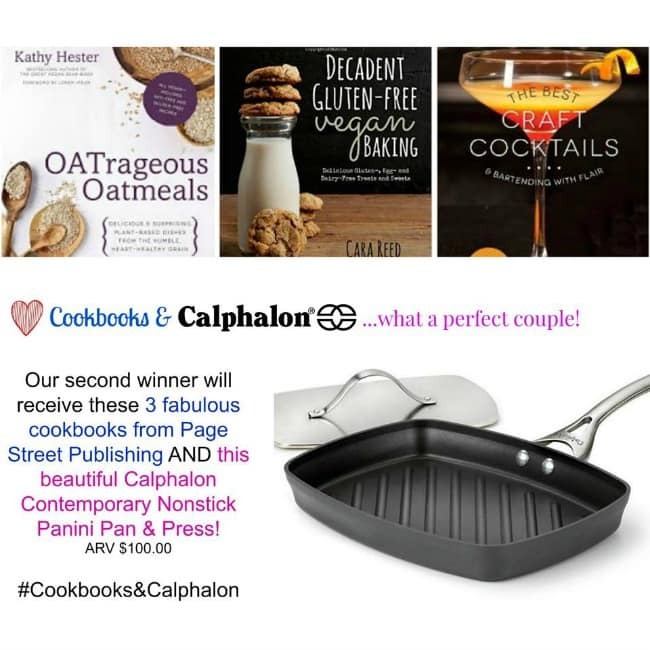 Cookbooks get the wheels turning. Which is why this giveaway is so fun!! Decadent fudge brownies topped with eggless cookie dough. 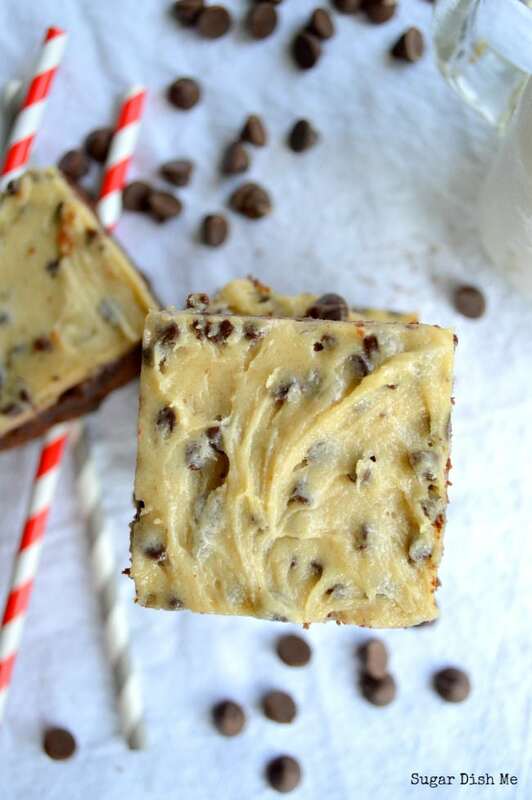 These Cookie Dough Fudge Brownies are thick, full of fudge, and taste totally amazing! Preheat the oven to 350°F and butter a 13 X 9 baking pan. I like to line the pan with parchment and then butter the parchment for easy removal, but it is not necessary. In a small saucepan over medium low heat, stir and melt the chocolate. Remove it from the heat and set it aside. In a large bowl beat together the butter and sugar until fluffy. Add the eggs and vanilla and beat for about 1½ minutes. SLOWLY drizzle in the chocolate, mixing between each little addition ( this helps to temper the eggs so they don't cook when you add the melted chocolate). Whisk together the flour, baking soda, and salt. Add the dry mixture to the wet and mix until it just combines, being sure to scrape down the sides of the bowl. Do not over-mix. Pour the brownie batter in the prepared pan and bake for 16 minutes. Let the brownies cool in the pan on a wire rack. To make the cookie dough topping, cream the butter and sugars until light and fluffy. Beat in the milk and vanilla. Gradually add in the flour and salt and mix until combined. Stir in the chocolate chips. Carefully spread the cookie dough over the cooled brownies. It helps to refrigerate the brownies a little bit before spreading the cookie dough. 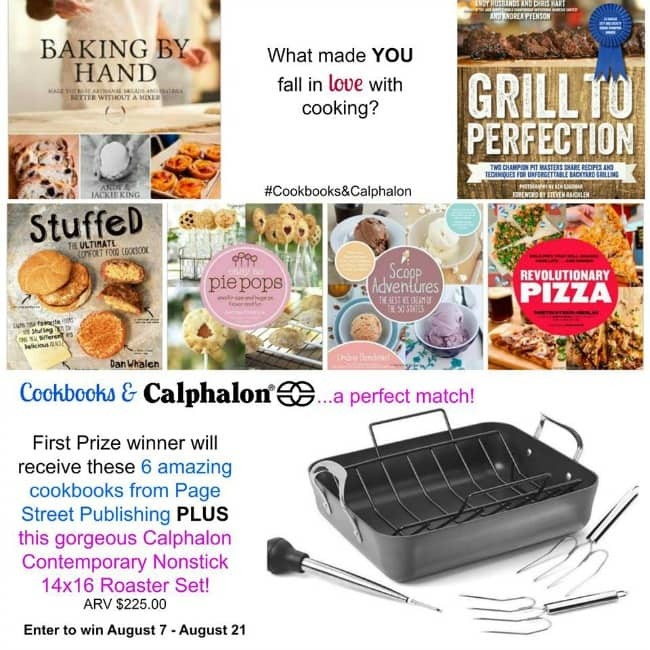 And look at all the other awesome recipes inspired by cookbooking! 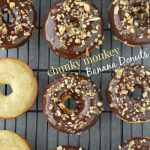 Ummm, I want to gobble these up…like right now for breakfast…curse you! I totally agree with you too…for those of us who live to cook…cookbooks get out wheels turning! For those of us who cook to live – well they sure do help out! I am having one with my coffee thankyouverymuch! This is such a fun project and giveaway Colleen! Thanks so much for including me! Cookie dough brownies?! My heart be still! WOW my husband loves brownies and cookie dough. This would be a great item to make for him. I fell in love with cooking/ baking because of the Susan Branch Cookbook–From the Heart of the Home. Yes!!! These were a hit with my other half and two boys. Actually, It was grandmother who is responsible for my love of cooking. I was about 12, spending school vacations with my grandparents on their farm. We were always making donuts, cookies, etc. However, she did have this small booklet for “youth cooking.” I remember we made something called a “purple cow” that I later shared in 4-H winning a ribbon! Well now I need to know: WHAT is the purple cow!!! I knew you would have to know what is in a “Purple Cow” and I only wish I could recall everything, but I will tell you it’s a yummy drink that most children, and even adults for that matter would love! It starts with grape juice, gingerale and vanilla ice cream. I will have to go through my grandmother’s recipes (time required I’m in a wheelchair) and I promise to get back to you Ms. Heather with the exact “receipt” (as my grandmother referred to a recipe as)! Have a beautiful day and weekend! I would LOVE that Deb! Thank you so so much! Heather, I like your style! First – hello! – brownies and cookie dough together? Sign me up! We also don’t have a microwave, and love your use of good-quality chocolate instead of the chips. These look FABULOUS! 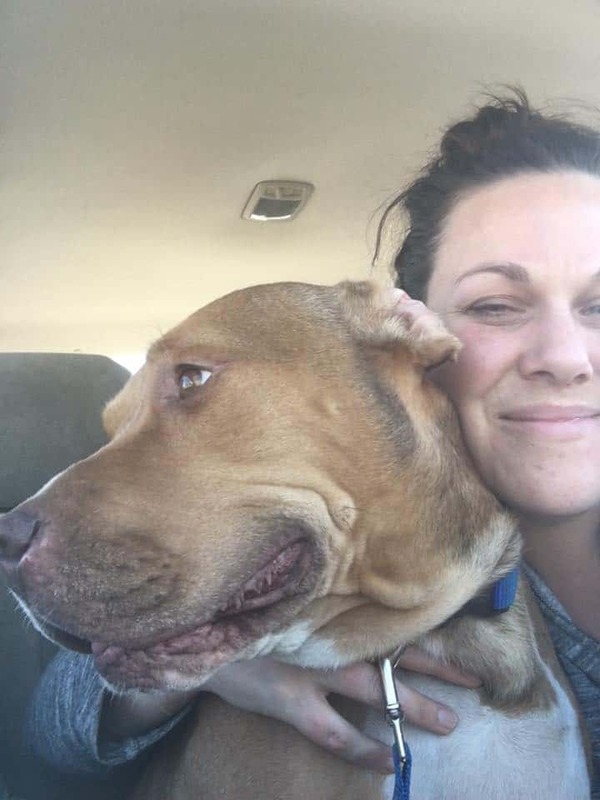 Thank you so much Amy! Hello back at ya! Oh neat! Timing is a major useful skill. That’s so funny! I bet that book has amazing recipes! It was probably my real simple cookbook that got me on a kick! Real Simple is a greak book! And magazine. So many good ideas. Brownies and cookie dough together. Yum!! One of my favorite flavor combinations. I need that recipe in my life ASAP!! Not that I’m surprised, but these look to die for!! Haha Thanks so much Elizabeth!!! My parents got me a kids Disney cookbook when I was a kid. I thought it was the best! Aww that is so cool! I am the same way about not following recipes, Heather, but that’s what makes cooking fun! Cookbooks definitely get the wheels rolling though. That’s a perfect way of putting it! 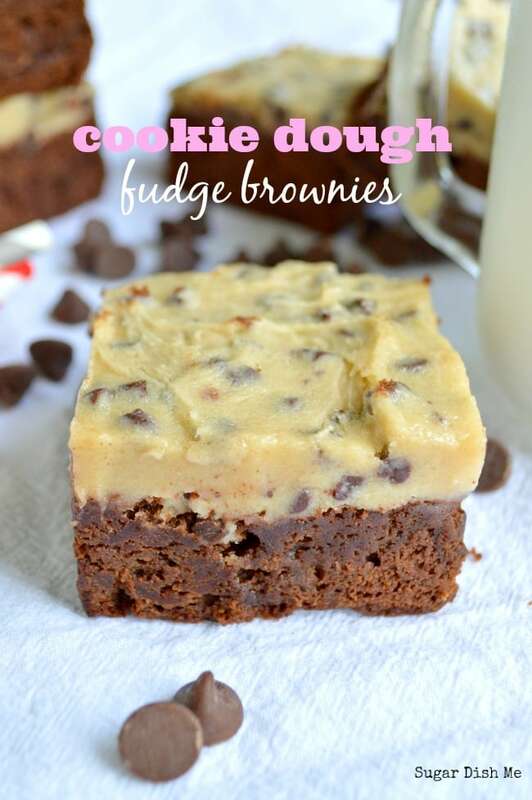 Love these brownies with cookie dough! One can NEVER have too many brownies recipes. Thanks Stacy!!! And I am so glad I’m not the only one that totally can’t follow directions. OMG I’m in LOVE with these fabulous brownies, Heather! Nothing beats cookie dough…..except cookie dough + chocolate! Love!!! It would take some SERIOUS restraint on my part to have these in my house. Woah. Haha Elizabeth. I totally have to send them away. To the neighbors. 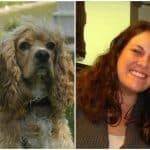 To my other half’s work. I had to get them out of my face for sure. No self control. What a genius idea! And I don’t throw that word around lightly. These brownies should be illegal! They look so yummy! Anything with cookie dough gets an A in my book! Everything I crave when I crave chocolate… all in one portable, delicious brownie. You slay me, truly. And yet I thank you for sharing these! That recipe sounds totally decadent ! I’d have to make it and take it to my bowling league so that I didn’t inhale every bite. I absolutely cannot wait to try this!! Yay! Let me know how they work out for you!